Spend a lot of money at the Gap, Starbucks, the Bay or anyone of thousands of stores that don't fall under typical credit card category spend bonuses? Do want to travel and use an extremely flexible travel rewards program? If you answered 'yes' to these two questions then the newest credit card to hit the Canadian market could be the card for you. The card falls into Rewards Canada's 'Hybrid Credit Card' category which means that it is a combination of an airline and/or hotel card and a travel points card because you can convert your points to hotel frequent travel programs or use the points to book travel how you want and then redeem the points against the charge on your account.. The ChoicePlus Card from American Express is all about its namesake, about choice. For several years now there have been credit cards in the Canadian market that awarded more miles or points for spending in certain categories that were set by the credit card companies. The ChoicePlus card flips that around and lets the cardholder select where they will earn more points. The card awards 2 points per dollar at five merchants chosen by the cardholder and 1 point per dollar on all other spending. The ChoicePlus Card from American Express comes with a $65 primary card annual fee which is right in the middle of the pack for annual fees although a bit high when you compare to some recent new cards like the Scotiabank American Express cards that offer a lot more benefits. The card offers a 7,500 welcome point bonus which is equivalent to a $75 credit for travel booked on the card via the TripFlex feature. There is also a fee-free version of the card called the American Express Choice credit card which comes with a 1,500 point bonus, less benefits and lower earning per dollar spent. The interest rate on the ChoicePlus card is 19.99% although their is an introductory offer of 2.99% for the first 12 months. Supplementary cards are free. As stated in the overview, the ChoicePlus Card from American Express earns 2 points for every dollar spent on eligible purchases at 5 merchants chosen by the cardholder. On all other spending the card earns 1 point per dollar on eligible purchases. The redemption side of the ChoicePlus Card from American Express is essentially a modified version of American Express' primary reward program called Membership Rewards. Called "Choice Rewards from Membership Rewards" the reward program features select options from membership rewards like merchandise, gift cards and most importantly TripFlex. TripFlex is the travel reward portion of Membership Rewards and is the best redemption option offered by the ChoicePlus card. TripFlex, allows the Cardmember to book any travel from any provider they want, be it a travel agency, online booking engine or directly from an airline, hotel, train, car rental company and more and then call Amex or go online to redeem their Membership Rewards points against the charge on their statement. The rate of redemption for the TripFlex option is 1,000 points for a $10 credit with a minimum redemption of 1,000 points. Cardmembers have up to 12 months from the date of travel purchase to redeem points and can use them to pay for only part of the purchase should they choose. The card also gives partial access to Membership Rewards travel partners that you can transfer points to. The partial access is for the hotel reward program partners which means you can convert the points earned on this card to Hilton HHonors and Starwood Preferred Guest. The merchandise option lets you redeem the points earned on the card for a large variety of options like electronics, hone & garden, jewellery and more from the Membership Rewards catalog. As for gift cards, the Membership Rewards catalog offers dining, events & theatre, travel and many more options to utilize points that have been earned. The ChoicePlus Card from American Express comes with a small suite of features and benefits. On the insurance side the card only offers buyers assurance and purchase protection. The card also features American Express' Front of the Line Service which provides advanced ticket and reserved ticket access to some of Canada's most popular events. The 'Choice' portion of this card is what is good about it. Being able to choose 5 merchants to use the card at to earn 2 points per dollar spent, this card can be utilized strategically at the stores you use the most to ensure you receive the highest rate of return. Combined with the TripFlex feature you can see that this card is essentially a 2% cash back card for your five favourite stores. I am a big fan of the TripFlex feature as it is one of the most flexible and easiest to use credit card travel reward redemption options simply because you can redeem a little amount of points and you have a full year to redeem against a travel charge on your card. The option to transfer to Hilton HHonors and Starwood Preferred Guest are also a great benefit to this card. While I don't recommend that anyone carry a balance on a credit card, if you are in position that you have to but want to be rewarded on your spending there are a few cards on the market that offer low interest combined with a lower amount of rewards. This card steps it up, well at least for the first 12 months with the 2.99% interest rate while awarding you with a larger amount of points compared to other low interest reward cards. While it may not seem like a lot, the $65 annual fee for this card is a bit high for what you get in return when you compare it to other cards. Take for example, the recently released Scotiabank American Express cards. The Gold version of that card is $89 but comes with a huge suite of insurance and benefits plus 4 points per dollar in some specific categories with a similar redemption option to TripFlex. The fact that this card itself lacks a lot of insurance and benefits make preclude it from being a front line card for a seasoned traveller. This newest entrant to the saturated credit card market in Canada is average at best but will fill a niche for the savvy credit card investor. By offering the choice of five user specified merchants it can be a really good addition to a credit card portfolio. By being able to pick five stores you do a lot of spending at that aren't covered by another credit card category bonus you can ensure that you are getting a greater return on your spending. I see the ChoicePlus Card from American Express becoming a secondary or tertiary card in a frequent travellers wallet while for the non-frequent traveller who wants travel rewards it could take top spot for those who spend a lot of money outside of the typical categories of Gas, Grocery, Drug Store etc. categories set by credit card issuers. Care to comment? Do you agree or disagree with us? 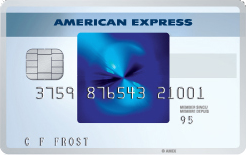 Tell us what think about the new ChoicePlus Card from American Express below.